USA was India's top export market in 2018 with exports reaching USD 47.9 billion, followed by UAE (USD 28.1 billion) and Hong Kong (USD 14.7 billion). NEW DELHI: The US has emerged as the top export destination for India, with USD 47.9 billion worth of shipments last fiscal year, followed by UAE and Hong Kong, as per the commerce ministry data. 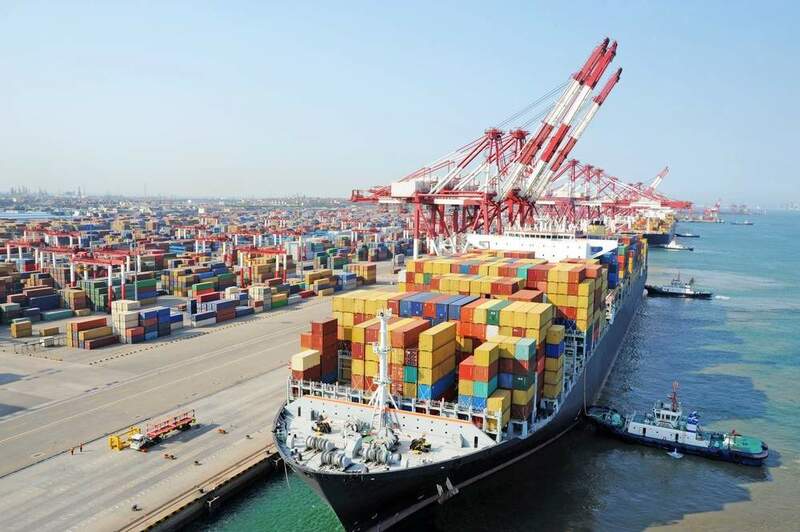 "USA was India's top export market during April-March 2018 with exports reaching USD 47.9 billion, followed by UAE (USD 28.1 billion) and Hong Kong (USD 14.7 billion)," the department of commerce said in a series of tweets. In 2016-17, shipments to America stood at USD 42.2 billion. The other key destinations include China, Singapore, UK, Germany, Bangladesh, Vietnam and Nepal. The top ten products exported in the last fiscal year include petroleum, pearls, precious and semiprecious stones, pharmaceuticals, engineering goods, chemicals, textiles and rice. According to trade experts, the US would remain the main export destination for domestic exporters as it accounts for about 16 per cent of India's total merchandise shipments. "It is a very big market for us as the US is the largest economy in the world. We need to give special focus on this market as it is going to be an important destination for our exports," Professor at Indian Institute of Foreign Trade (IIFT) Rakesh Mohan Joshi said. Federation of Indian Export Organisation (FIEO) Direct General Ajay Sahai said that the US, being the biggest consumer, is extremely important for sectors such as apparels and made-ups, leather footwear, pharma and engineering. "We should push exports which account for major imports into the US to achieve a quantum jump in exports," he added. China was India's largest source country for imports during 2017-18 at USD 76.3 billion. This was followed by America (USD 26 billion) and Saudi Arabia (USD 22.1 billion). Top imported products in India during April-March 2018 were petroleum crude (USD 87.4 billion) followed by pearls and semi-precious stones (USD 34.2 billion) and gold (USD 33.7 billion). Stay up to date on all the latest Business news with The New Indian Express App.